DEAR MAYO CLINIC: Is it true that fish oil or an omega-3 supplement can help people with dry eyes? If I decide to take them, do omega-3 supplements have any side effects I should worry about? ANSWER: Research suggests that taking an omega-3 fatty acid supplement can reduce symptoms of dry eyes. Omega-3 supplements are safe for most healthy adults and generally have few side effects when taken in a standard dose. Before you begin taking a supplement, however, talk with your health care provider to make sure it’s right for you. To maintain eye comfort and good vision, the front surface of your eye must be covered with an even layer of tears that contain the right mix of water and oils. If tears are not of sufficient quantity or quality to maintain that layer, dry eye disease (also called ocular surface disease) can develop. Symptoms of dry eyes can be bothersome and may include a stinging, itchy or burning sensation in your eye; sensitivity to light; blurred vision; mucus in or around your eye; and excessive tearing. Dry eye disease tends to be a chronic condition, and it usually cannot be cured completely. However, various treatments can be used to ease symptoms, including over-the-counter artificial tear eye drops. In recent years, fish oil has been suggested as a possible remedy for dry eyes. Fish oil contains two omega-3 fatty acids called docosahexaenoic acid, or DHA, and eicosapentaenoic acid, or EPA. Omega-3 fatty acids are thought to provide a wide range of health benefits. Due to these potential benefits, fish oil has become a popular dietary supplement. 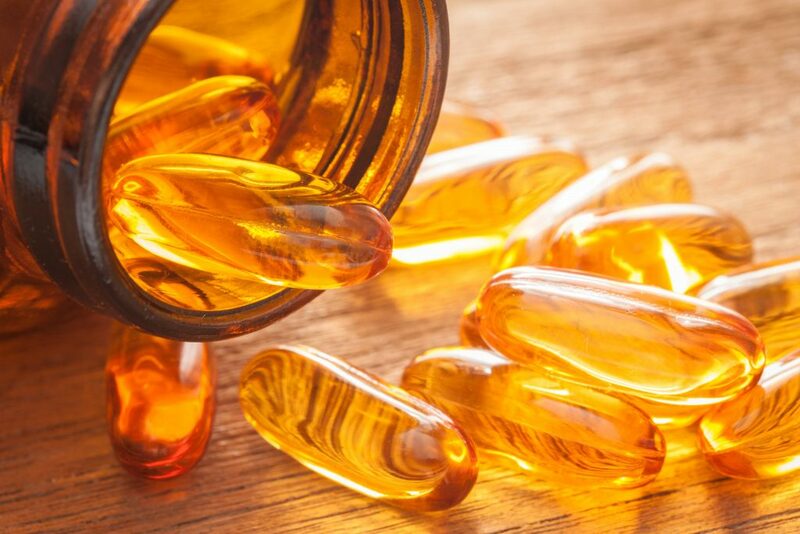 Research studies looking into the benefits of omega-3 fatty acid supplements have found fewer dry eye symptoms in people who take the supplement. It appears that omega-3 fatty acids can improve the eye’s oil film that’s produced by small glands on the edge of the eyelid, called the meibomian glands. That improves dry eye symptoms and reduces the need for artificial tears. The dose of omega-3 fatty acid in many of the research studies included 180 milligrams of eicosapentaenoic acid and 120 milligrams of docosahexaenoic acid, taken twice a day. Few side effects were noted at this level. High doses of the supplement have been associated with some have harmful effects, though. They include an increased bleeding risk, higher levels of low-density lipoprotein (LDL, or “bad”) cholesterol, blood sugar control problems, and a fishy aftertaste or odor. In some at-risk populations, such as people who have had a heart transplant, omega-3 fatty acids may affect heart rate. If you have heart disease, only take omega-3 fatty acids under the direction of a health care provider. You can get fish oil in your diet from eating fish, too, of course. The American Heart Association recommends that healthy adults eat fish at least twice a week. Fatty fish, such as catfish, halibut, salmon, striped sea bass and albacore tuna, are good sources of omega-3 fatty acids. Some fish can contain high levels of mercury. While the mercury in fish doesn’t lead to problems in most healthy adults, it can be a concern for women who are pregnant or planning to become pregnant. If that’s the case for you, ask your health care provider about the right amount of fish in your diet and the types of fish that are safest to eat. I have a winter and summer residence and PCP’s at both. One increased my fish oil intake to 3000mg’s and prescribed vit. D3 while the other took me off both. Whom am I to believe? 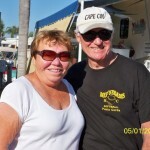 Thank you, Joe D.
I have been told by a cancer hematologist that fish oil supplements have been debunked.